Clif Bar sent me a slug (that’s a lot) of its bars recently to try. And as I prepared my Hurricane Irene Survival Kit in the days leading up to the storm, I thought that they would all come in quite handy should I need yummy, non-perishable foods if we lost power. Always have to be prepared. 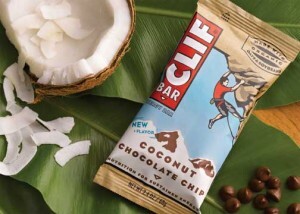 Jenn has long been a fan of Clif Bar—they’ve even made it to our list of top protein bars—but my Clif experience has been limited. Well, it’s limited no longer as I made up for it with all of my taste-testing! 1. ZBar Crispy Rice. Think of a healthier version of the Rice Krispie Treat, these bars are just 110 calories and made with whole grain rice and organic ingredients. The Peanut Butter, Chocolate and Chocolate Chip varieties all log in with 110 calories—enough to tide kids over when they need a snack, especially when you’re on the go. I tested them out on real, live kids when I split one between my niece and nephew on a recent hike, and the Chocolate Chip version was kid-approved. Chocolate was my least favorite because I liked the less-overwhelming flavors of the chips and the PB, but if you’re a chocoholic, it may be just down your alley. Plus a whopping 20 percent of your calcium for the day? Done deal! 2. Clif Mojo. These all-natural trail mix bars got high marks from Jenn, and an FBG never steers another gal wrong. I, of course, dug into the Dipped S’mores variety first. While you probably won’t go confusing it for the real s’more thing any time soon due to the lack of a smooshy marshmallow, the taste was de-freaking-licious. With a layer of yummy chocolate, peanuts, almonds and crunchy graham cookies, this 200-calorie bar is satisfying in a way s’mores aren’t (maybe it’s that 8 grams of protein!). The Mojo is also available in a non-dipped variety with two new flavors: Chocolate Almond Coconut and White Chocolate Macadamia. Yum. 3. Clif Energy Bar and Clif Crunch. The flavorologists at Clif are really spicing it up in the kitchens, apparently. They’ve come out with a new Coconut Chocolate Chip version of its energy bar, along with new recipes for the Apricot and Peanut Toffee Buzz bars. In addition, the Crunch bar is now available in Blueberry Crisp and Chocolate Peanut Butter. The chocolate/peanut butter combination and I are longtime BFFs, and this crunchy bar was a great way to continue our relationship. I’d take a hike with this 190-cal, 5-gram protein, 3-gram fiber bar any day. Or just munch on it while typing, as I’m doing now. It’s a versatile type of bar.